Tradeshows are a mini-vacation for some. It’s a time to get away, network with other people in your industry, make new friends, and promote your business. For other vendors, tradeshows are simply a way of life because it’s the lifeblood of their business. No matter which category you fall into, you must take trade show security into consideration. If you don’t, all that fun can go away in a moment because of one little security slip. You forgot to lock a display case. You were careless with trade secrets lying out in the open. Or perhaps you trusted somebody you shouldn’t have to watch your things while you stepped away from your booth for a few minutes. In this article, we’ll look at the who, what, when, why, and how of tradeshow theft. The “where” is already established. In many ways, trade show security has many of the same issues as any other business where valuables are left unattended overnight. Think about scrap yards, for example. They are rarely operated overnight and thieves know this. It’s a prime opportunity to sneak in and take a small fortune in copper or other valuable materials. Construction site security is always on the minds of contractors. On larger projects, there are tens of thousands of dollars worth of tools and equipment left on-site. Even though they are often chained up or locked in trailers, it doesn’t always dissuade the most determined burglar. 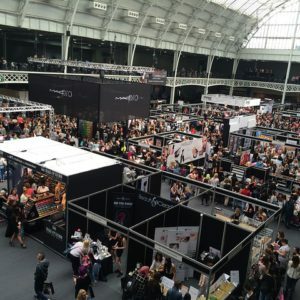 But there are some things particular to tradeshows that put them into a special category. Not only do you have unattended items overnight, but the sheer volume of traffic generated also makes tradeshows and exhibits a picnic for thieves. In some ways, trade show theft is even more likely than at other businesses. When we talk about preventing theft from your trade show booth, most of us think about the shifty-eyed criminal walking around in a hoodie and casing all the displays. While tradeshows are a common target for criminals, you should also think about the risks from others. Smaller, localized tradeshows often have a group of loyal vendors. Over time, they build relationships with one another and tend to be protective of the group. At larger shows, however, the risk of theft from other vendors is real. None of us wants to think that another vendor might try to steal our stuff. But sometimes it’s not the stuff they’re after. Think corporate espionage. Depending on your industry, tradeshows and exhibits are the perfect scene for corporate spies. Make sure you think about digital property as much as physical property. You have as much responsibility to protect customer lists and trade secrets as you do company property. Theft at tradeshows isn’t always the big stuff. We’ve already mentioned valuable items and corporate spying. But small items that are easily slipped into the pockets of smalltime criminals are also at risk. Freebies and giveaways are common incentives to show visitors. We don’t often think of it as theft, but we know freeloaders are out there and they don’t mind filling their bags with your promotional items and samples. That is stuff that you paid for with your money, but it never occurs to some people that it’s not free to you. Also, consider your trade show “hardware.” Things like tablets, smartphones, credit card swipers, and small cash boxes are often a quick and easy target to grab while you are busy with a potential customer. The most obvious time to get free stuff is when you’re away from the booth. This happens during the trade show when you eat need to grab a bite to eat, visit with other vendors, or use the restroom. The cardinal rule is this: never leave your booth unattended during the show. If you didn’t bring a partner with you who can watch your table, ask another vendor that you feel you can trust to keep an eye on things. If you go to tradeshows often, you will naturally develop relationships with other vendors. Make an effort whenever possible to get your booth located close to theirs. There is always a big concern about nighttime security—what happens after the trade show ends for the day and before it begins the next day. You can’t always be certain about the security team at any given event, so your two best bets during this time are lock-and-key and video surveillance. If you watch professionals—the guys going to dozens of tradeshows every year—they always keep their valuable items under lock and key. Some valuable items like guns are often in a lockable carrying case. But that’s not enough. You have to be able to prevent the entire thing from being carried off. A good deterrent is a steel cable going through all the handles of carrying cases. A good investment is locking display cases and cabinets. Although they can be bulky, they serve two different purposes: they display your items, obviously, but also protect your items under lock and key at night or if you need to leave your booth for a few minutes during the show. If you attend trade shows on a regular basis and have theft-worthy items, it might be good to invest in video surveillance. That way, if something happens, you have the evidence right there. An even better option is monitored video surveillance because sometimes it comes with really cool features like strobe lights when it senses motion, or even audio, where the monitoring service can speak to the would-be burglar. Like it or not, tradeshows and exhibits are a major target for bad guys. And certain types of tradeshows are more likely to be targeted than others. Think about gun shows, were all sorts of weaponry are on display. Trade show attendees are not vetted. There are no background checks for attendees. Never leave your booth unattended. • Keep high-value items under lock and key if possible. • Hide trade secret items and non-display valuables out of sight. • Have a plan to protect your things overnight. • Form a “neighborhood watch” with other vendors that you know. • Mis-label your boxes on purpose. On boxes with valuables, mark them as sales brochures or something else unappealing. • Talk to other vendors to see what methods they use to safeguard their things. • Remember that competitors can pose a security risk in certain industries. • Talk to security staff and ask them what they see most often. Ask them for any tips that might offer. • Consider overnight video security. Having visible video cameras with signage indicating 24 seven monitoring can be a powerful crime deterrent. • Use GPS trackers on expensive items. • Whenever possible, have at least one other attendant at your booth for times when you get busy with customers. Another set of eyes on merchandise can make a big difference. • Keeping your things organized makes it easier to notice if something is wrong at a glance. It is also important to consider security outside the trade show booth. Your valuables are also potentially exposed on your way to and from the show. Whether you have a locking trailer or exposed containers in the back of a truck, they are at risk every time you stop to fuel up, go to a restaurant, or overnight at the hotel. Be sure to plan ahead by checking the neighborhood of the venue as well as the hotel. Talk to tradeshow hosts and any local law enforcement to inquire about the safety of those areas. in the end, one of the biggest assets you have in protecting your assets is awareness. It’s worth taking some time to think about trade show security risks before your next event. Just being aware of the risks will force you to be more alert on the floor. The more you know about what happens inside the mind of the criminal, the better you’ll be able to throw a wrench into his plans. Talk to other vendors, the tradeshow contractor, and anyone else that might help you gain some insight. Taking some time to think along these lines will go a long way toward helping you get a security plan together—no matter what business you’re in. It’s much better to be proactive than to be reactive. At XXXXXXX, we specialize in monitored mobile video security. For more useful tips on securing your building, facility, or event, check out our other articles here. If you are already involved in the security industry, why not consider partnering with us? 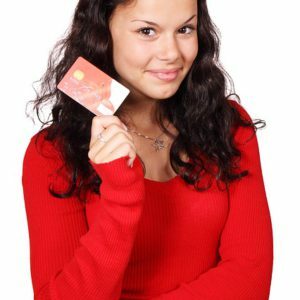 Get more information about that on our partner page. When it comes to retirement, the Pacific Northwest is where it’s at. Specifically, we’re talking about Marysville, WA. Located only 35 miles north of Seattle, Marysville (pop. 67,625) is an outdoorsman’s paradise, an extremely popular family destination, and a retiree’s dream. Marysville has something for everyone! Wineries and distilleries abound, along with culturally rich museums and natural habitat areas for those who like solitude. Whether you’re looking for a great place for your family to visit, or you’re a soon-to-retire professional, Marysville, WA is worth checking into. So stoke the fire, grab your favorite drink, and join us on a virtual tour as we discover the Marysville area and its fine people. For the outdoors type, there’s no shortage of natural beauty and outside activities for you. If you’re a fan of water—whether it be swimming, fishing, sailing, or anything else—be prepared to be blown away! From freshwater streams and lakes to beachfront scenes and water adventures, Marysville has water galore! Kayak Point County Park is a very popular family destination. Boasting over 3000 feet of saltwater shoreline as well as Evergreen forests, this park has it all. There’s plenty of fishing for even the most adventurous fisherman. Flounder, rockfish, sole, and walleye-pollock are just a few varieties you can reel in. The water depth at the end of the pier can get as deep as 50 feet during high tide. The park has a whopping 40 acres dedicated only to recreation. Plenty of picnic shelters and a playground make this a fantastic family destination. It also offers overnight campsites and cabins available to rent. For the slightly more adventurous, you can always opt to stay in a yurt, which is a tent-like portable structure covered with animal skins. Additional activities at this extremely popular parking include bird watching, hiking on the many trails, windsurfing, and boating. If you happen to be more into nature and solitude, be sure to check out Spencer Island Park. Because of its abundant wildlife, this park is well known among the locals as one of the absolute best places for viewing waterfowl, river otters and other wild inhabitants. Other great parks to check out while you’re in the area include Jennings Memorial Park, Ebey Waterfront Park, Gissberg Twin Lakes, and Comeford Park. And that only touches the surface. There are so many natural areas, family-friendly parks, and water attractions that we cannot list them all here. The Marysville area features many brand-name shopping and dining destinations, as well as local malls, boutiques, and locally-owned restaurants. You definitely don’t want to miss the local flavor of places like Wrenhaven Vintage Market. Wrenhaven features something for everyone in the family-friendly, fun atmosphere. This unique boutique has charming finds in every corner to delight and surprise visitors. Beautiful home decor, unique clothing selection, and unexpected treasures hide in every nook and cranny, and the friendly staff keeps customers coming back. If you are into the shopping scene, you will want to reserve some time to check out Seattle Premium Outlets. The great location and abundance of popular retail brands make this one of the trendiest shopping destinations in town. You’ll find everything from Calvin Klein, Coach, and Gap to Oakley, Starbucks, and the Banana Republic. Although the parking lot is a bit congested at times, many people overlook it because this Simon Mall property features over 130 different stores (not counting food outlets) and nearly 3,000 different brands! Hungry yet? You’re in luck, because according to zomato.com, Marysville proper hosts nearly 200 restaurants, and the immediate surrounding area has nearly 250 more. That’s a lot of food! Of the 185 listed inside Marysville, 128 restaurants fall into the very affordable category — two people can eat for less than $30. Another 42 restaurants will feed a romantic couple in the $30-$70 price range. Who doesn’t love local culture? Well, you’ll get plenty of it in Marysville, WA. This area has a wealth of tribal culture, and much of that culture resides at the Hibulb Cultural Center and Natural History Preserve. The cultural center alone boasts around 23,000 square feet of floor space. Several exhibits, two classrooms, a research library, and an additional building known as a longhouse make for a fun and educational adventure. For a more hands-on experience, the 50 acres dedicated to the natural history preserve take you on a captivating journey through the centuries of tribal history sacred to the original inhabitants. Just down the road in the town of Everett, you’ll encounter the Schack Art Center. This 19,000 square-foot facility is a fine art and craftsman’s treasure. If you come at the right time, you’ll get to witness firsthand the incredible craftsmanship of glassblowers and other local artisans. The center regularly hosts educational classes for aspiring artists. The Schack Shop gift store is a treasure in itself, with creations by over 175 artists. As you might expect with so much diversity in every category, Marysville doesn’t come up short on family activities and athletic adventure. After school activities, extracurricular sports, and spring/summer camps are plentiful. There’s plenty to do for adults, too, including every type of water sport imaginable, abundant golfing, martial arts and more. Some of the best destinations have physical activity and fun for kids and adults alike. You can burn off a ton of energy at the Altitude Trampoline Park in Marysville. It’s much more than the name implies. Yes, of course, they have trampolines—and lots of them. The 25,000 square foot indoor park has over 100 interconnected trampolines! If that doesn’t get you jumping, nothing will. If the trampolines don’t do the trick, the park also offers dodgeball, airbag jumping, basketball slam-dunking, and numerous fitness programs you can enroll in. If you’re a fan of paint, head over to Doodlebug in Everett. No, we’re not talking about the paint that’s applied with a brush, but the kind that’s applied with a paintball gun. Doodlebug Sportz has indoor & outdoor paintball fun, and they also happen to be the largest paintball supplier in the entire state of Washington. They specialize in first timers. Before you ever squeeze the trigger, you get a complete orientation and safety briefing. At the large outdoor park, you can choose from six different battle maps for your team. On rainy days, unleash the beast on the turf inside the indoor arena. With regular group events and tournaments, your family is sure to have a blast! The farm is open five days a week from March through October, and the prices are reasonable, too. Admission is only $10 per child or senior and $12 per adult. If you can put together a group of 15 people or more, the cost is only $8 per person. No trip to the Marysville area is complete without spending a day with the kids at the Imagine Children’s Museum. Located in nearby Everett, this is one of the most exciting places you can take your kids. What’s it all about? In a word, play! Whether your kids like school or not, when they come to the imagine children’s Museum they are going to learn stuff. While they claim it’s all about playfulness, parents will really appreciate the creative ways they have designed to teach kids about the world. To be sure, an afternoon or an entire day spent here will not be time wasted. And who knows? Mom and dad might just learn a few things too! Aside from a nearly infinite choice of pubs and nightclubs, there is plenty of nightlife in and around Marysville, WA. For starters, you can head over to Uncensored Comedy Night for a good laugh, featuring standup comedian Cory Michaelis. If you are an avid music fan, The Tulalip Amphitheatre is one place to keep an eye on. Despite the mixed reviews, they do an excellent job of booking known musical talent. From Diana Ross to the Go-Go’s and B-52s, Boyz 2 Men and Aaron Neville, you’re sure to catch a favorite artist at this fantastic musical venue. If those aren’t enough to quench your thirst for entertainment, you can always head over to the Tulalip Casino for an all-nighter. This beautiful casino has an overwhelming selection of new slot machines to choose from. But you may want to take a map with you—it’s like a small city in there! With plenty of restaurant choices and an on-site hotel with pool and spa, you may want to go ahead and pack an overnight bag. 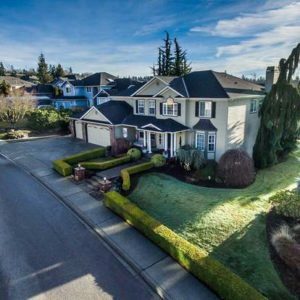 Thinking about living in Marysville, WA? You’ll be happy to know it gets an “A” rating for amenities and diversity. While it does rank slightly lower than some surrounding areas in other categories, this coastal Seattle suburb is a solid place to live. Marysville is the 15th largest community in the state of Washington. The median per-capita income is $66,000, while the median household income is just over $80,000. The Real Estate market in Marysville is very much alive. Two-thirds of its residents own their own homes. The average year-to-year market increase home sales is around 5-7%. The average home value, depending on which source you use, hovers just over $350,000. While housing costs in Marysville are higher than the nationwide average, they pale in comparison to the pricier areas of the state. If you aren’t ready to purchase just yet, there are plenty of homes and apartments for rent in Marysville. Either way, residents get to enjoy all the amenities of a large city, minus the many of the downsides of city life. Quieter neighborhoods with well-lit parking areas make Marysville an attractive choice for safety-conscious families. Whether you’re coming to work, retire, or just for a short visit, you’ll find plenty to do in Marysville, WA. There are endless activities for young and old alike. The residents are friendly, and there is so much to do here in this growing suburb that it would take you a lifetime to see it all. If you are considering moving to Marysville, be sure and check out our single and multi-bedroom apartments! While many of our residents stay with us long term, were also a great place to stay in the short run for house hunters. You can get a look at one of our beautiful floor plans here. If you have any questions, give us a call at 360-572-0565 or contact us here. Preterite, present subjunctive, pluperfect, present perfect, conditional perfect, pluperfect subjunctive… Lions, tigers, and bears, oh my! Spanish verb tenses are enough to make anybody tense, especially if you are a beginner. The tenses listed above are only a handful of the 14 most commonSpanish verb tenses. But, as we say in Spanish, no te preocupes (don’t worry). In this post, we’re going to pull back the curtain on the present perfect in Spanish, so you know exactly when to use it, how to use it, and when you should use the preterite instead. Ahora, ¡vámonos! – Now, let’s go! 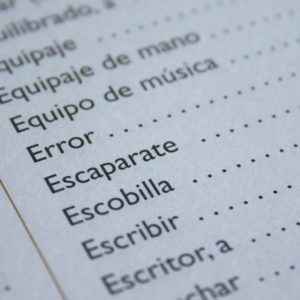 When you look at a list of the different Spanish tenses, it’s easy to see how it could feel overwhelming to a new learner. To avoid information overload, the very first thing you should do is to put it all into perspective. We all know the answer to the question “What’s the best way to eat an elephant?” – One bite at a time. It’s the same with learning something new – like another language. You simply learn one tense at a time. For most tenses, you’ll find that there is an equivalent in English that you’ll be able to relate to. In fact, studying a foreign language can drastically improve your native language, among other benefits. Who wouldn’t want that? I have finally perfected my sculpture. The gymnast has perfected his routine. After days of trials, she finally has perfected the cake recipe. In each example, the word perfected relates to something that has been completed or perfected. I have eaten all my vegetables. I have said all I need to say. In Spanish, that verb is haber, meaning, “to have.” But it’s not “to have” as in “to possess.” It’s to have seen, to have eaten, to have said, etc. Just like in English, there are two parts of the present perfect tense in Spanish: the present tense part, and the ‘perfected’ part. And just like in English, each part is a verb. Haber is the first verb. Haber is always followed by a second verb, as in the examples above. The second part is the ‘perfected’ part. That’s the verb that was completed. Now, all we have to do is to add the past participle of that verb. That simply means the form of the verb that was done, or completed. The Perfect tense is an action that has been completed. It can be past, present or future: I had eaten, she has eaten, they will have eaten. The Imperfect tense is an action that has not been completed and refers to the past. It indicates something that was normal, customary or an action that was happening WHEN something else happened. The following are all Imperfect: He always ate pork on Fridays; He was eating when his friends arrived; The ancient Israelites did not eat pork. Don’t get too hung up on this one – it’s often the same thing as the past progressive, it just goes by a different name. The Progressive tense is an action that was/is/will be ongoing in the past, present or future. It’s usually preceded by was, is, am, are, or will be, followed by a verb with “ing” in English: I was eating, she is eating, they will be eating. The Preterite tense is an action that is done, and it’s in the past. It’s over. Use the preterite when something only happened once, or even multiple times, but had a definite conclusion: He ran to the door. 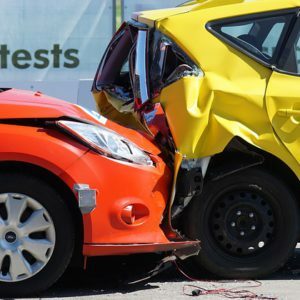 Use the preterite if it happened at a specific time: I wrecked my car last week. Use the present perfect the same way you would use it in English: with the word have or has, followed by a past participle. She has already paid the fare. Even if you accidentally use the preterite where you should have used the present perfect, chances are you’ll still be understood anyway. Hopefully, this article has helped (present perfect). The present perfect usually refers to the very recent past. So think about how you might say it in English. If it’s something that has been completed recently and in English you would say, “I have, you have, he/she has, they have, etc.,” then use the present perfect in Spanish. Of course, if you want to get the full flavor of different tenses, there’s no substitute for hearing it in real, street-level conversation by native speakers. Combine that with having an exact transcript of what’s being said in both languages, and you’ll be speaking like a native in no time. Want to see what that looks like? Be sure and check out the audio samples and transcripts of our courses. The Rolodex isn’t dead, but it’s barely breathing. Although there are still a few strongholds out there in the older generation who refuse to give up their business card flipper, it’s mostly dead. At least for people on-the-go. Why? In a word, technology. Smartphones, CRMs, and mobile apps are the go-to choice for people who need mobility. 2018: In a shopping center in the rural Midwest, a shopper was walking across the parking lot after exiting a store. A kind driver stopped and motioned her to cross in front of his vehicle. As she did, another vehicle behind thekind stranger couldn’t stand the delay and went around, hitting the pedestrian with his vehicle. Her injuries were serious—and so were her medical expenses: an ambulance, the local hospital, an air ambulance to a bigger hospital, a broken hip surgery, a wheelchair, more surgeries, and physical therapy.